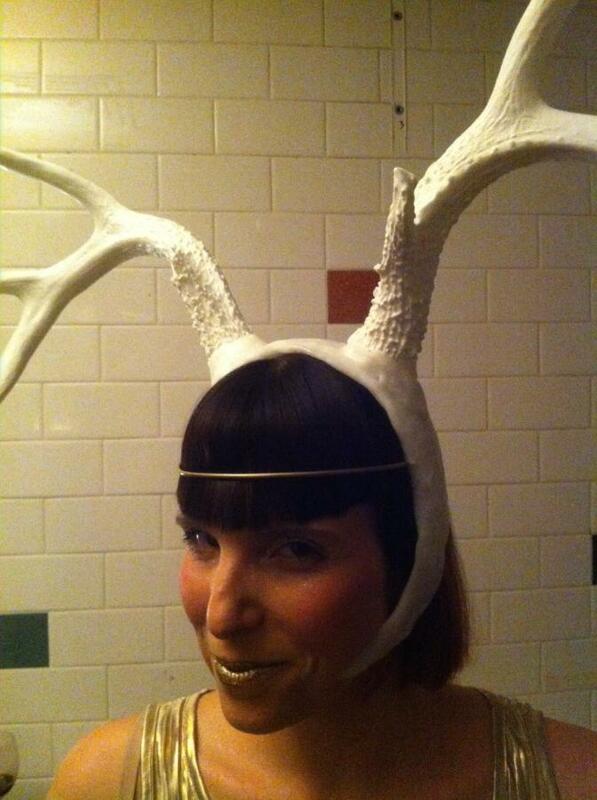 The antlers themselves are cast resin, but the headdress is all Plastimake. A number of hat makers and others said it couldn't be done - but we done it! And it worked perfectly! To achieve the correct shape for the headdress, Shannon moulded Plastimake onto the wearer's head. He used a latex cap for an extra layer of protection - hair and Plastimake don't mix well! The result is really impressive, it's an object that would be difficult to make with almost any other material.